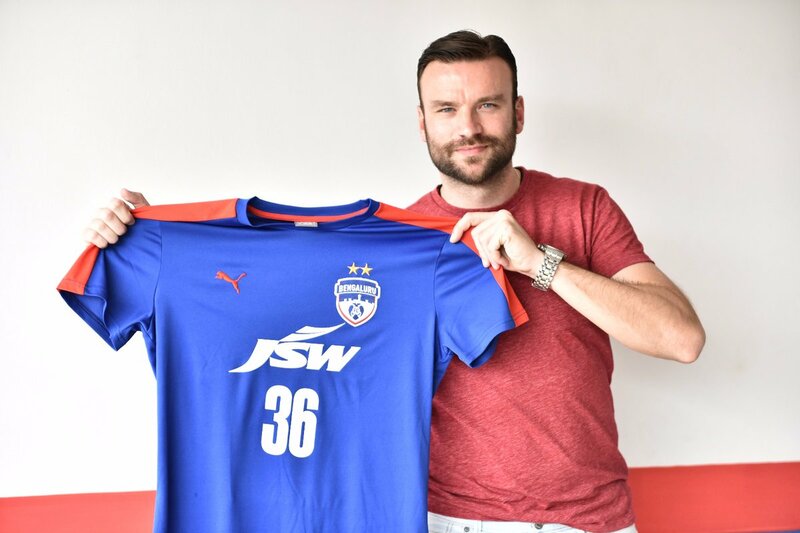 Bengaluru FC have signed Serbian striker Marjan Jugovic till the end of the season for the Hero I-League 2016-17 campaign. Jugovic will be the fourth foreigner for The Blues who had released Roby Norales earlier this month to second division side Ozone FC. 33 year old Jugovic comes with a vast resume having experience in playing the AFC Champions League(Al Ittihad - 2011) and UEFA Europa League(FC Zeta - 2010/11). The 6 ft 2 inch striker, has plied his trade across several parts of the world which includes the likes of Bosnia and Herzegovina, Montenegro, Poland, Syria, Iceland. Lebanese side Al-Akhaa Al-Ahli Aley was his last club where he scored 18 times in 31 appearances. Jugovic said to the BFC official website, "I’m very happy to join a big club in India and one that’s famous across Asia too. I hope to help the team have a successful finish to the season and will be giving my 100% to the fans, my teammates and the club. I was at the stadium on Saturday and saw the passion of the fans and I’m very excited to play for them." Jugovic will wear Jersey No. 36 for the Bengaluru FC and is expected to travel to Punjab to face Minerva Punjab FC in their next match.